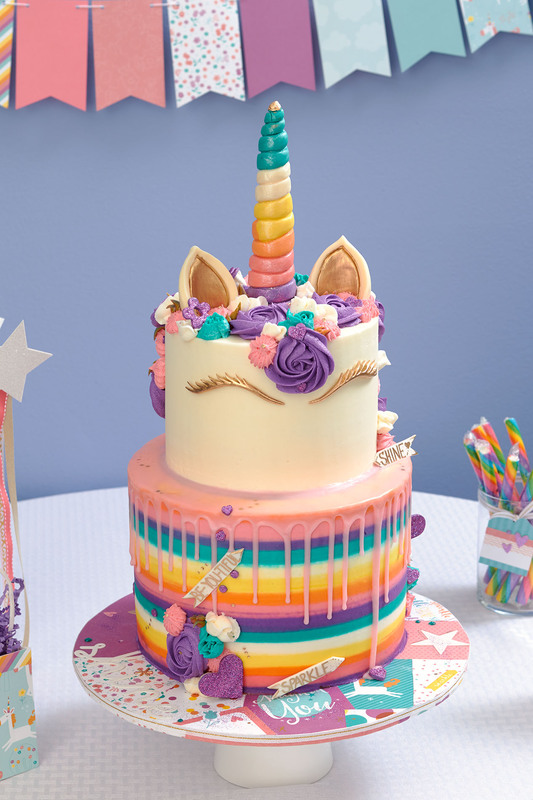 This Unicorn Party Takes the Cake! We’ve got an extra special treat for you today! 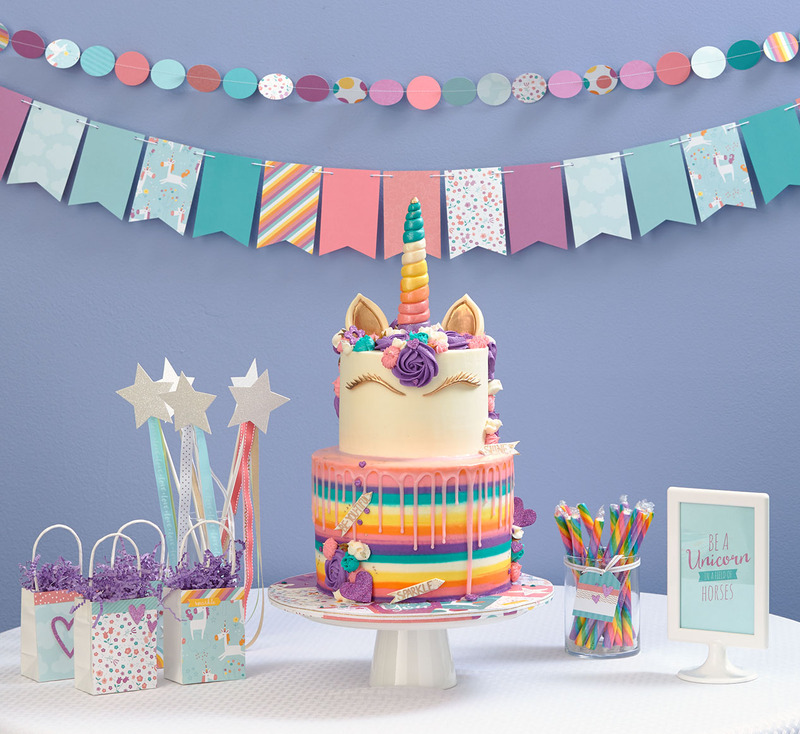 We’ve paired up with Sunny Hintze, owner of Sunny Days Cakes and winner of Food Network’s “Cake Wars,” to bring you some inspiration for throwing a unicorn-themed birthday party! 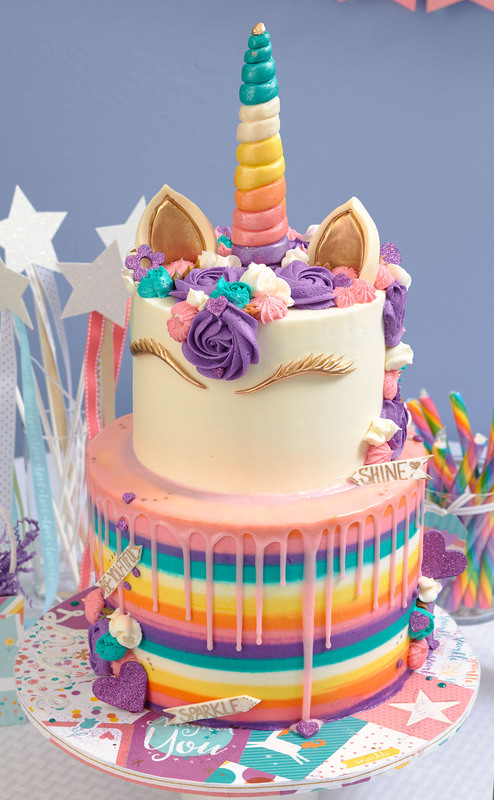 Sunny took inspiration from our Little Dreamer collection to create her incredible cake: The colors match our Little Dreamer color palette, the multi-colored horn looks just like the horns on our little unicorns, and she even created edible pieces that look like our Complements! See the little banners and glitter hearts and flowers? It’s amazing! To send this cake over the moon, she used Mod Podge to add Little Dreamer papers, Complements, and gems to the board used for the base of the cake, and finished it off by wrapping the edge with our white & gold ribbon. And if you think this cake looks magical, let us tell you, it tasted magical, too! An amazing cake is absolutely essential for any birthday party, and Sunny hit this one out of the park! What’s another party essential? Great decorations, of course! To mix up your banner game, try layering a circle banner above a pennant banner, like we did here. This works especially well when you have a large blank wall to decorate. 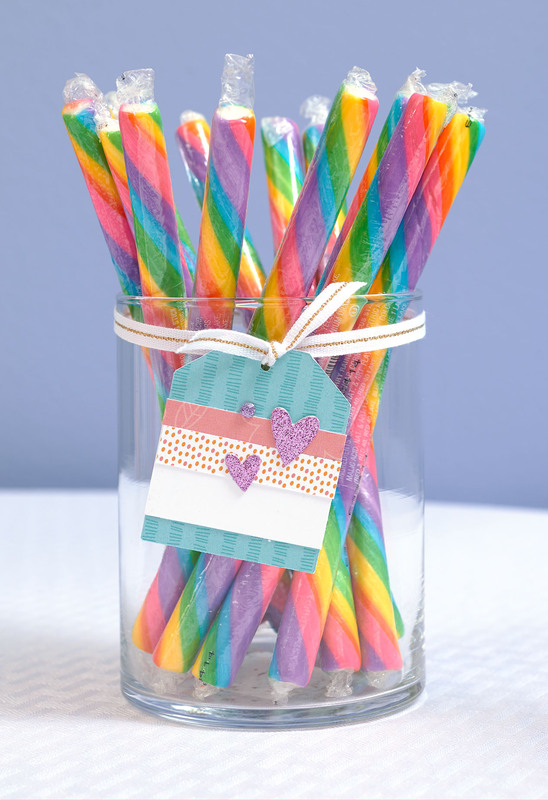 Another party tip is to give your young guests something to play with that ties into the theme of the party, like these magical wands. 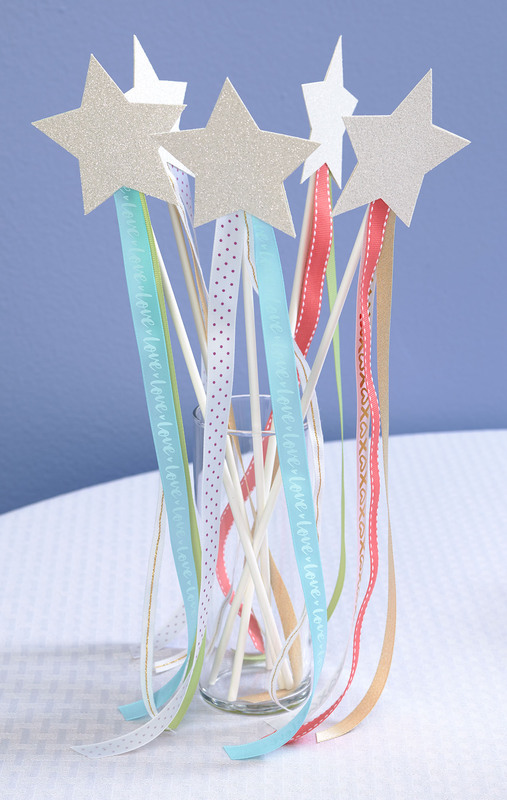 Simply cut stars out of white glitter paper using your Cricut® machine, and then hot glue them onto long sucker sticks with some ribbons. 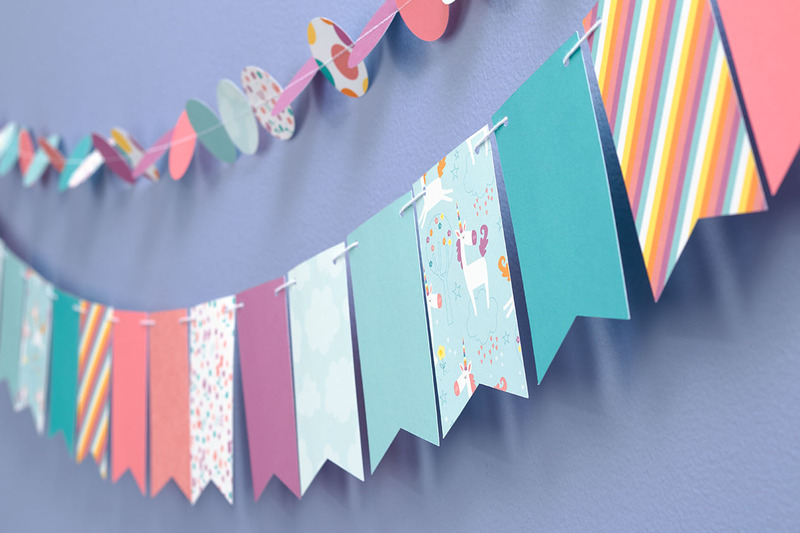 The soft colors from our Whimsy ribbon pack make a great match for the Little Dreamer collection. 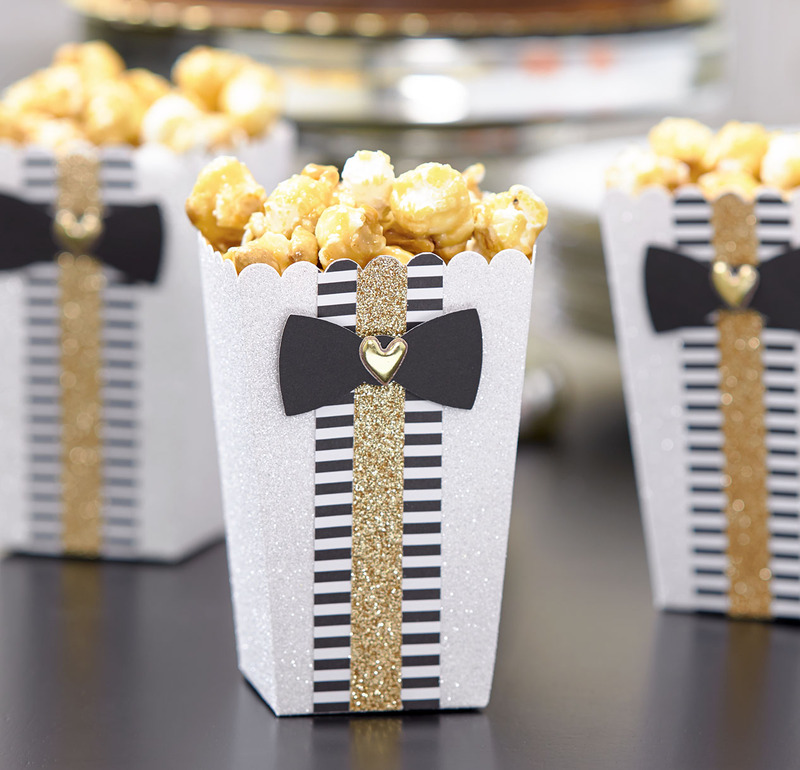 An easy way to add some accents to your party set-up is to frame our pocket cards. The Little Dreamer paper packet comes with two sheets of 3” x 4” and 4” x 6” pocket cards that you can cut apart for pocket scrapbooking. 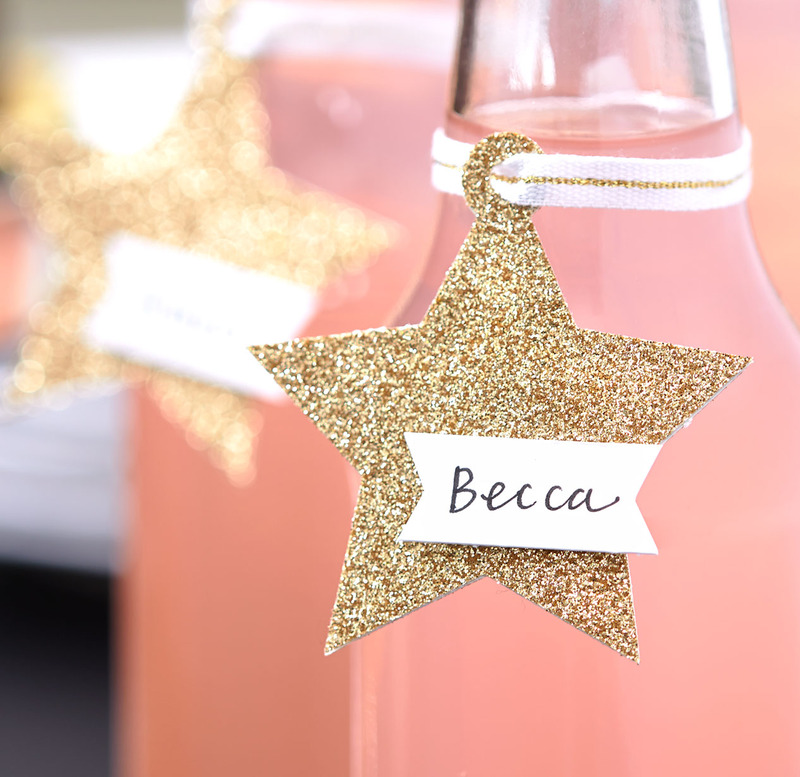 Framing a few of these cards is an easy way to add cute accents to your table, and they already perfectly match your other party décor—it’s a win-win! 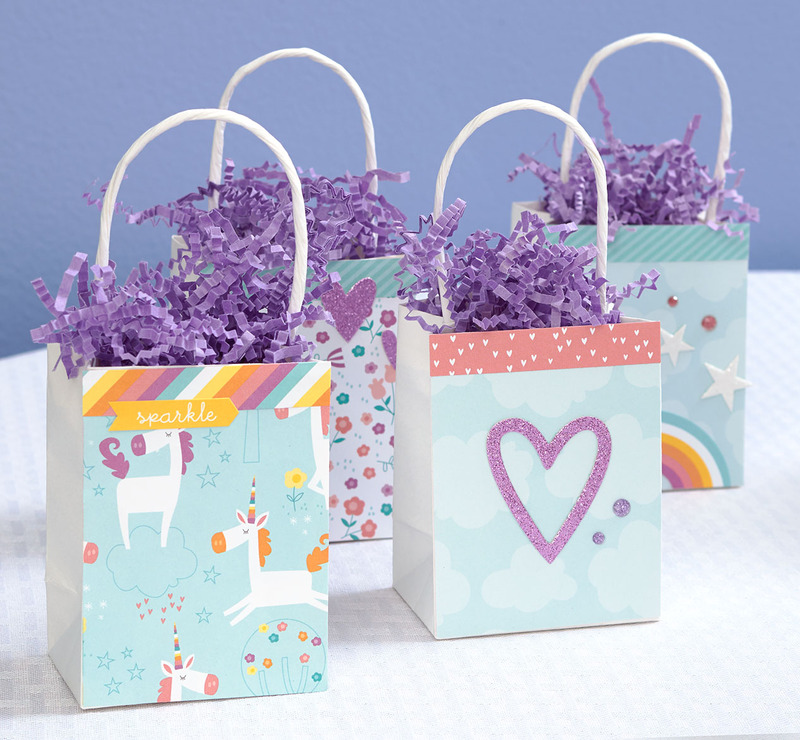 And as one last final tip, spice up plain paper treat baggies with some patterned paper and matching Complements and gems! To make your baggies look especially polished, attach zip strips to the tops of the baggies. 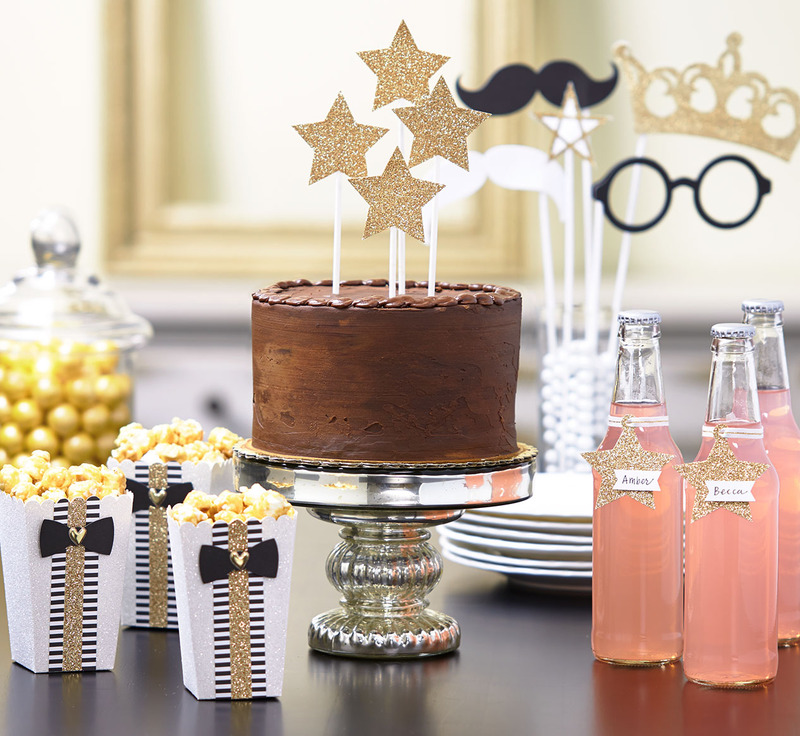 What other tips do you have for throwing a stellar birthday party? Tell us in the comments below! Sunny Hintze is located in Eagle Mountain, Utah. 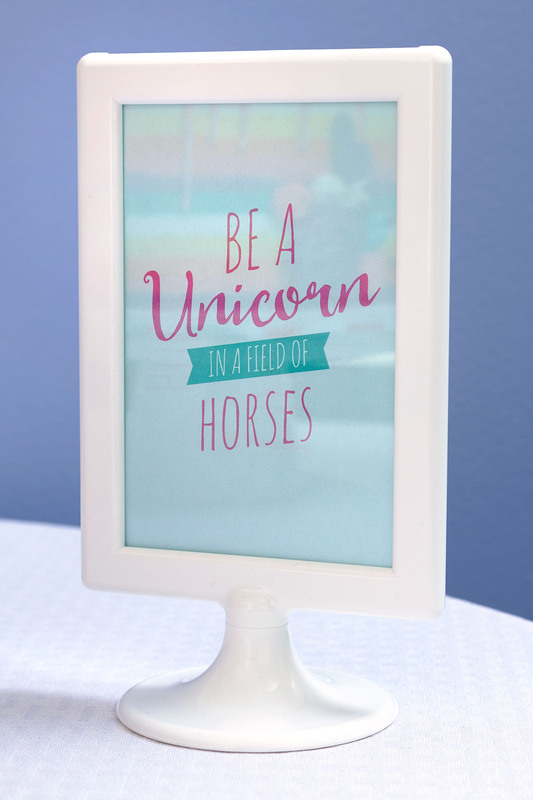 She is also going to launch a line of unicorn cake kits soon—how awesome is that? For more information about Sunny Days Cakes and her unicorn cake kits, visit her Facebook page.